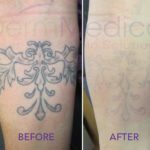 A DermaSilk Microdermabrasion treatment is a pleasant, relaxing, non-invasive skin rejuvenation procedure that uses a mechanical method of gently exfoliating the superficial layer of the skin. The top layer of dead skin cells are gently removed to leave the skin feeling smoother and more refreshed instantly. Dead skin cells dull the appearance of our skin, clog pores, create flaking and prevent the absorption of nutrients and oxygen and expelling of toxins. When this dead cell layer is removed, the skin underneath is exposed to better hydrate, expel toxins and absorb nutrients at an optimal rate. Microdermabrasion enhances new cell regeneration in the dermal and epidermal skin layers. 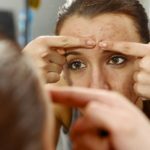 You will notice that your skin care products will penetrate your skin surface better and over time you may even see a e a decrease in fine lines. Microdermabrasion may also lighten pigmentation for a more uniform skin tone. Your skin becomes firmer, clearer, plumper and dewier. Microdermabrasion can be used as a stand-alone treatment, or in combination with other treatments where it compliments their effects. DermMedica uses a microdermabrasion system that is non-invasive, comfortable and can be performed quickly with no downtime whatsoever. Call us today to book your full Microdermabrasion treatment for smoother looking and feeling skin.